Fin and Feather Lodge - Lodging and overnight stays in Glen Elder, Kansas 67446, Mitchell County Kansas, Waconda Lake and the Solomon Valley. Overnight & Vacation Lodging ...in Glen Elder, Kansas - the heart of rural America. 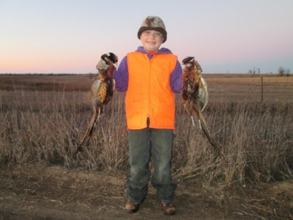 ﻿﻿Fin and Feather Lodge, located in Glen Elder, Mitchell County Kansas, near the shores of Waconda Lake, Glen Elder State Park and the Solomon Valley, offers two fully complete lodges! If your outdoor sporting, family or vacation group is looking for clean, comfortable overnight accommodations, we hope you let Fin & Feather Lodge provide just what you need. Plus, you'll discover that our quiet, friendly, rural town environment is something you can appreciate and enjoy. Hunters, Fishermen, Vacationers are WELCOME!